Twenty years ago, Sam Marshall was walking home with two other men when they were confronted by masked gunmen who opened up with automatic fire. The attack took place just moments after the three men had signed bail at Lurgan RUC barracks. Sam Marshall’s last words to his two companions before he was shot dead were “we were let out to be set up”. Born in Lurgan on 18 September 1958, Sam Marshall was the third eldest in a family of seven children. In 1964, the Marshall family moved to the newly built Kilwilkie estate in the north of the town. One of Sam’s schoolmates was Tony McCaughey, whose family lived close to the Marshall’s in the crowded nationalist enclave. Sam also knew a boy called Duffy, but it was his younger brother Colin who later became a good friend. In January 1990, both Sam Marshall and Colin Duffy were at Tony McCaughey’s home when it was raided by the RUC and a small quantity of ammunition was found. All three men were arrested and charged in relation to the find. In February, Sam and Colin were granted bail but it was another month before Tony was released from custody. All three men were granted bail on condition that they signed at the local RUC barracks twice a week. The first evening Tony was due to sign was Wednesday, 7 March. All three men were scheduled to attend the barracks at the same time. The exact days and times were known only to themselves, their solicitor and the RUC. The men already suspected that they were under surveillance. The day before, Colin and Tony had spotted a vehicle following them. A red Maestro had been seen by other people in the neighbourhood. As the three men walked towards the barracks, the Maestro was spotted again. “It’s the Branch,” one of the men told a local man in Deeny Drive. On the way to the barracks, the Maestro was seen again at St. Peter’s Chapel. Tony described the driver as well dressed, wearing a white shirt and dark suit jacket. After signing bail, the three men noticed two figures in the outside observation post. It was unusual for the post to be manned and the two occupants were not wearing RUC caps. A few hundred yards from the barracks and the red Maestro passed the three men again. A second car, a red Rover carrying three men, passed them in Wellington Street, travelling towards the city centre. A few minutes later, the Rover passed them again. It was spotted for the third time, parked just beyond Kilmaine Street. Initially, the three men had assumed the Rover was part of a surveillance team which included the Maestro and only at the last moment did they become concerned enough to change their intended route. It was too late. Two masked gunmen stepped out of the Rover and opened fire. Sam Marshall was wounded and unable to run. The gunman put the rifle to Sam’s head and fired twice. Miraculously, Tony and Colin escaped unharmed. A few days later, a sophisticated crown force surveillance camera trained on Colin Duffy’s house was discovered. The equipment bore NATO and British MoD markings. The Rover had been found, burnt out, a short time after the killing near the M1 motorway. Questions were asked about the Maestro but there were no answers immediately forthcoming. 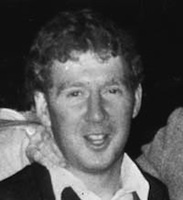 Years later, during an extradition hearing in America, the RUC admitted that the Maestro belonged to them, and on the night Sam Marshall died, it was a part of a surveillance operation. Unbelievably the RUC insisted that Sam Marshall was “not the target on that particular evening”. SInce then, Colin Duffy has been the centre of further plots to “take him out”. In recent years, the conspiracy has been to frame Colin rather than kill him. He is currently being held in Maghaberry prison and facing a double murder charge. The plot is different, but the question remains - are many of the key protagonists the same?